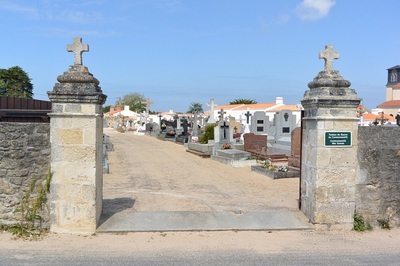 La Guérinière is a village in the centre of the island of Noirmoutier. The Communal Cemetery is located on the Rue de la Rampe. 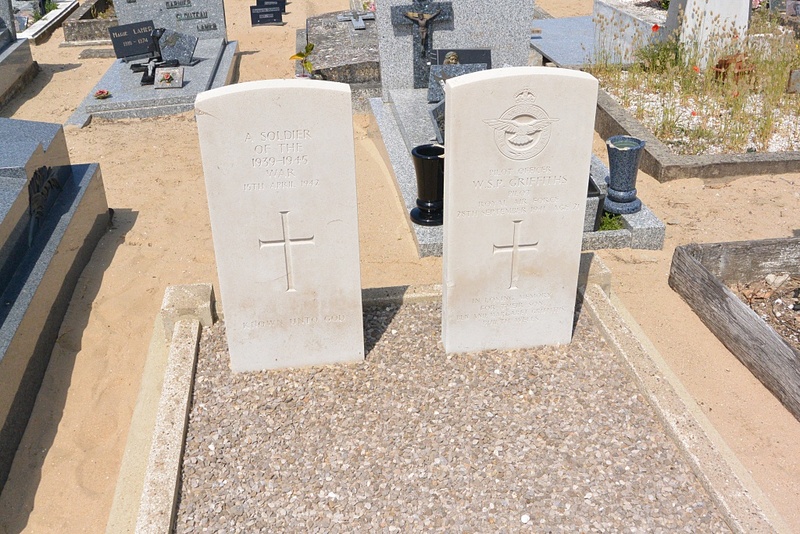 There are 3 Commonwealth burials of the 1939-1945 war here, 2 of which are unidentified, to the right of and behind the central monument. 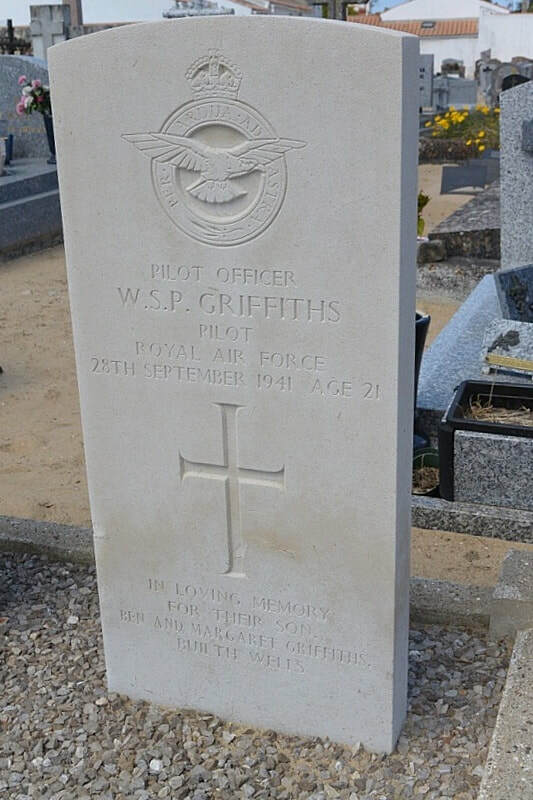 61267 Pilot Officer Walter Samuel Palfrey Griffiths, Pilot in 217 Squadron, Royal Air Force Volunteer Reserve, died 28th September 1941, aged 21. Son of Benjamin Watson Griffiths and Margaret Edith Griffiths, of Builth Wells, Radnorshire. Qualified in Jurisprudence for the degree of B.A. (Oxon. ), Brasenose College.